Brexit’s implications for environmental law and enforcement in the UK are symptomatic of the challenges associated with breaking away from the EU’s regulatory and governance arrangements. While nobody is seriously suggesting that after Brexit the UK will become a lawless land, incapable of upholding the rule of law on environmental matters, the loss of the EU’s well-established and comparatively stable regulatory, enforcement and governance frameworks requires that these be somehow replaced, within a relatively short timeframe. The same applies to EU funding and cooperation programmes, like farm payments, that, for good or ill, presently provide the lifeblood of UK and Scottish support, conservation and research initiatives. If these challenges were not daunting enough, the allocation of environmental lawmaking and enforcement powers between UK and devolved administrations after Brexit raises politically sensitive constitutional and administrative law questions. When the unifying frame of EU law is removed, fragmentation across the UK may well threaten the maintenance of present levels of environmental protection. Even more importantly, the spat over the European Union Withdrawal Bill (EUW Bill) indicates that the UK and Scottish governments hold diverging views on who should assume after Brexit the competences presently exercised by the EU. Whoever is in charge of environmental affairs after Brexit, one thing is already clear. Brexit requires a careful rethinking of the very mechanics of environmental lawmaking, implementation and enforcement across the UK and there is precious little time to attend to this complex task, and secure the continuation of present levels of environmental protection after March 2019. By its very nature, environmental law is a composite area, encompassing issues as diverse as habitat and species protection; water; air quality; waste; agriculture and fisheries; and climate change. Space precludes a detailed discussion of specific challenges emerging in all of these areas. This article therefore offers some general reflections on the implications of Brexit for environmental protection, as well as recommendations for solutions that may be adopted to address these. The impact of Brexit across areas of environmental law will vary, depending on the way in which they are presently regulated. The main variables in this respect are: the degree of environmental governance presently embedded in EU law and institutions; the UK’s international environmental law obligations in each of these areas, and the extent to which they are presently implemented by EU law; and the degree of devolution within the UK on each of these matters. Scottish and UK lawmakers presently are largely norm-takers and implementers of regulatory frameworks more often than not devised and engineered by the EU, especially on environmental matters. The EU Emission Trading Scheme (EU ETS) is a case in point. As already discussed on European Futures, the EU ETS is one of the most heavily centralised pieces of EU environmental policy, which attributes a key role to EU institutions, such as the allocation of pollution permits (emission allowances). Should the UK leave the EU ETS, it would have to decide how to do so without compromising the interests of UK emitters presently holding EU ETS allowances. The EU has already adopted contingency measures to protect the integrity of the EU ETS in case the UK leaves without an agreement on how to handle this specific issue. Even more crucially, since the EU ETS covers the UK’s heaviest emitters, simply leaving these polluters unregulated is not an option. Replacement of the EU ETS is therefore essential to ensure environmental protection after Brexit. EU law and international law obligations on environmental matters are often intertwined. The EU is party to numerous international environmental treaties alongside, and sometimes in lieu of, its Member States. After Brexit, the latter international environmental agreements will no longer be formally binding on the UK. Measures implementing the obligations embedded in these treaties may nevertheless live on in UK law, insofar as they survive the exercise of ministerial powers envisioned in the EUW Bill. Brexit will thus have the effect of crystallising the obligations enshrined in these international treaties as implemented in UK law at the time of withdrawal, but without taking into account evolutions resulting from subsequent treaty amendments and/or practice. This crystallisation is concerning, when one considers, for example, that the 2013 Minamata Convention on Mercury sets out conditions for handling and trade of mercury which are likely to be revised and upgraded over time. After Brexit, therefore, the UK should consider ratifying these treaties in its own right, while at the same time closely monitoring measures translating these international obligations into EU law, which typically restrict the import of non-compliant products into the EU market. The situation is even more complex for so called ‘mixed agreements’ which have been ratified by both the EU and the UK, pursuant to Article 4 TFEU. Here the question is not so much whether obligations enshrined in these instruments will continue to apply to the UK after Brexit, but how. To take an example from air quality control, the Montreal Protocol to the Vienna Convention for the Protection of the Ozone Layer currently requires states to regulate and reduce the use of fluorinated gases (F-gases). However, the Montreal Protocol only includes obligations of results, without providing details on how states should go about phasing down the use of these gases. These details are presently enshrined in two EU law instruments: the MAC Directive and the F-gas Regulation. A recent inquiry by the UK Parliament revealed that, whilst it would be possible to continue with present arrangements under the MAC Directive (which has been transposed into UK law), replacing the monitoring and reporting functions currently performed by EU institutions under the F-gas Regulation is rather urgent. This is because the F-gas Regulation has not been transposed into UK law, but rather is applied in the UK directly, pursuant to the principle of direct effect. Furthermore, implementation of the regulation hinges on a quota system, managed by a centralised EU registry (the HFC Registry), which directly allocates quotas to producers and importers across the EU. After Brexit, the UK will no longer be able to rely on these institutional and regulatory arrangements. It will therefore have to devise its own framework to implement obligations under the Montreal Protocol in relation to F-gases, both in terms of substance and of reporting and enforcement. This brings us to the third and most politically sensitive challenge associated with Brexit: that of the allocation of environmental competences between the UK and devolved administrations. This issue is clearly not specific to the environmental sector alone, but has important ramifications in this area. The repatriation of powers presently exercised by EU institutions in relation to environmental lawmaking and enforcement requires a strategic decision on who will be doing what after Brexit, and pursuant to which rules. In this respect, grappling with Brexit seems to require a UK intergovernmental agreement on the allocation of powers to which the Joint Ministerial Committee communiqué of October 2017 does not provide a definitive answer. This predicament is well exemplified by the question of enforcement. EU law comes equipped with a supranational supervision and enforcement machinery that has contributed to the enhancement of environmental protection standards across the EU and in the UK, in areas such as air pollution, water quality and waste. UK authorities have simply become accustomed to being under the European Commission’s and the CJEU’s scrutiny, and the threat of economic penalties associated with these. After Brexit, UK citizens will only be able to access national courts to complain about breaches of domestic environmental law. Coupled with the prohibitive costs of public interest litigation in the UK, it is hardly a surprise that numerous experts have identified the loss of scrutiny over the enforcement of environmental standards as a pressing concern associated with Brexit. The announcement by UK Environment Secretary Michael Gove of a new, independent body for environmental standards after Brexit is a welcome development. As ever, however, the devil is in the detail and the implications of the establishment of this body for devolved administrations are far from clear. The complexities associated with the repatriation of EU powers require particular vigilance in order to ensure that environmental protection does not become an unintended casualty of Brexit. At the external level, there is the challenge of unpicking EU obligations from international ones, and securing continued compliance with the latter, while progressively unplugging from the first. At the internal level, there is the challenge of devising modi operandi that work for both the UK and devolved administrations, while treading on political eggshells. There clearly are several possible solutions to both challenges, but the time to find these in rather finite, and running out fast. Generally, Brexit would seem to call for a constitutional reflection on which institutions are best positioned to do what, and how. Given environmental law’s composite nature, no one-size–fits-all solution for all areas is likely to be feasible, or even desirable. Instead, environmental lawmakers and enforcers across the UK should look lucidly at present arrangements, area by area, establish how these will be affected by Brexit, and work out what would be the most effective and sensible way to reform those law and governance arrangements which need to be replaced. In some areas, the need for a UK-wide approach seems obvious. For example, if the UK intends to continue to use emission trading to reduce its emissions post-Brexit, it would make sense to establish a UK-wide system. 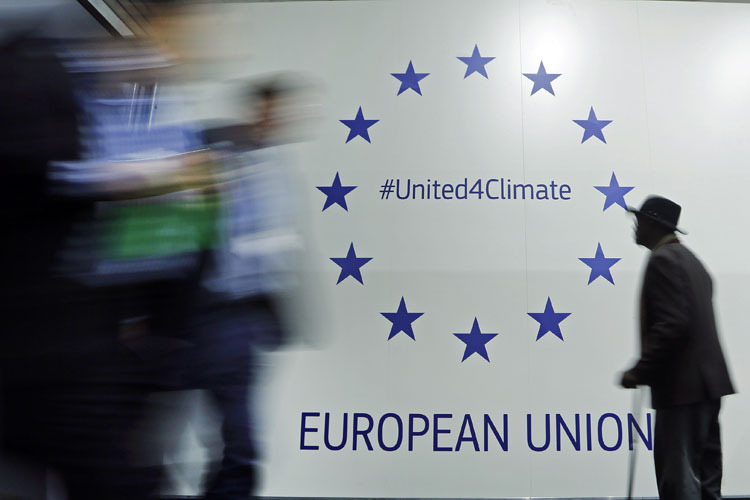 Yet, the recent negotiations between the EU and California seemingly indicate that it could be possible for devolved administrations to adopt their own emission trading schemes, and find ways to link these with the EU ETS. While technically possible, the constitutional viability of such arrangements remains to be tested. In this regard, Brexit provides an opportunity to go beyond the status quo and its discontents. The Scottish Government should identify areas where greater devolved powers may be needed to effectively exercise its competences on environmental matters after Brexit. As already discussed on this platform, these powers may include some legal capacity to enter into international agreements addressing specific Scottish interests, such as fisheries. Scottish authorities could develop and strengthen links with regional and international bodies dealing with cooperation and capacity-building, so as to remain involved in regional debates on environmental protection after Brexit. Avenues to ensure enhanced supervision on the implementation and enforcement of environmental laws after Brexit should be explored, giving consideration to proposals coming from civil society. These actions would assist in ensuring that Scotland is an informed participant in the debate over the future of environmental protection in the UK after Brexit, keeping the UK Government under scrutiny, especially in the context of the exercise of the sweeping ministerial powers envisioned in the EUW Bill. This piece draws on an article in the Edinburgh Law Review, which itself builds on the author’s contribution to the 2016 SULNE report on Brexit, Scotland and environmental law. The views expressed here are this author’s alone. Dr Annalisa Savaresi is Lecturer in Environmental Law at the University of Stirling. Her research focuses on climate change, biodiversity, forestry, environmental liability, renewable energy and the interplay between environmental and human rights law.